Adopt an elbow-touch instead of a social hand-shake. Avoid touching your face. No finger contact with eye, nose or mouth. If you have an itch- use a tissue, if you grab a snack- use a napkin or eat directly from the plastic bag. Snub the company of anyone who exhibits cold symptoms. If it’s a family member, keep them confined to a bedroom as much as possible, with a huge pile of Lego, good books, electronic entertainment, and ongoing room-service of hot tea and nourishing snacks. 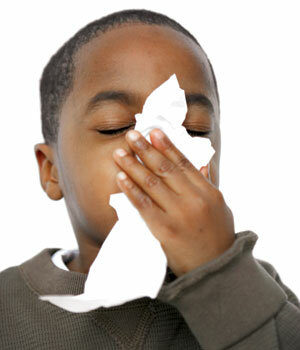 Keep yourself in top shape throughout the cold and flu season: eat healthy, hydrate plenty, and exercise regularly. We believe in prophylactic measures whenever possible, even if a cold is already in effect. At the first signs of a cold or similar ailment, we recommend shifting to a protective dietary mode, focused on basic simple nourishing, easy to digest foods. Increase the intake of liquids and liquefied food. Chicken broth, yogurt smoothies, mashed cooked veggies, chicken pancakes, homemade lemonade, diluted juice, tea and jello- all are soothing and nourishing options. Try to increase tolerated food sources of vitamin C, like fresh orange juice, as well. Over The Counter (OTC) medications can contain fillers and additives that are not gut friendly. We try to manage colds without using oral OTC medications. Rubbing creams like Vicks, or properly diluted essential oils can be massaged on the chest or back or bottom of the feet, to ease symptoms. Try a Netti pot (use it only with distilled water), many find it helpful. To avoid cough medicine, ask your physician about prescription inhalers (bronchodilators) like Albuterol. Gargle with a solution of 1 tsp. salt and 1 tsp. baking soda dissolved in a large glass of warm water throughout the day. Drink lots of hot tea with honey and lemon or warm homemade lemonade (warm water, honey and freshly squeezed lemon juice). Drink warm mint tea. Drink warm "ginger water" made by dropping a slice of fresh peeled ginger into a glass of hot water to steep. Microwavable heat packs and warm wraps can bring comfort and sooth symptoms. We keep several kinds at home, and our favorite is a heavy fabric neck & shoulder wrap that can be heated in the microwave. Humidifiers are very helpful, especially in the bedroom at night. We love to put a few drops of essential oils (orange or mint are current favorites) in the special designated spot on the humidifier. Epsom salt baths are soothing and have beneficial detoxifying effect. Take the yearly flu vaccine. It is not perfect, but it can be a helpful preventative measure. Take high levels vitamin C several times per day. While high levels of vitamin C seem to be helpful in fighting a cold- it can also upset the stomach and induce BMs, so be aware and be cautious. Significantly increase vitamin D3 for three days, then return to normal daily dose. When following the SCD regimen, all vitamins and minerals should be SCD compatible (free of fillers and additives as much as possible). Why Zinc Gluconate instead of Zinc Picolinate? Thanks.